I think I have adult ADD. If I can’t get it done in an hour, it frustrates me and I usually give up. This was worth the extra time though….and although it took about 2.5 hours for me, it was all very EASY to do. I am so excited about this project and how it turned out! We need to be a little more thankful in my household. For the everyday things we are so blessed to have! To help us out, I made the “Give Thanks” board. 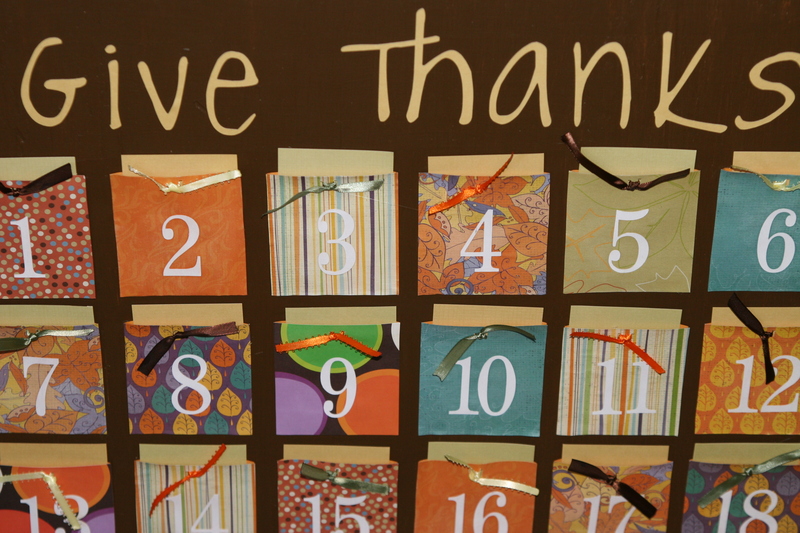 30 days of Gratitude for the Thanksgiving month of November! AND, it can be used year after year! Read how below! Light-colored Cardstock for writing your “thankful message” on. 30 Coin Envelopes. Mine were 3 3/8″ x 6″. YES, I know you see rubber cement in the picture above, but ignore it! I thought it would work….silly me! 1. Get a wood board. Mine is a piece of plywood measuring 24″ x 28″. Prime it and paint it whatever fall-ish color you would like. I painted mine dark brown. 2. While waiting for the wood to dry, take your 30 coin envelopes and cut them down to 3 3/4 ” tall. Make sure you cut off the top part that is already open so you still have the pocket to insert your cars in later! 3. 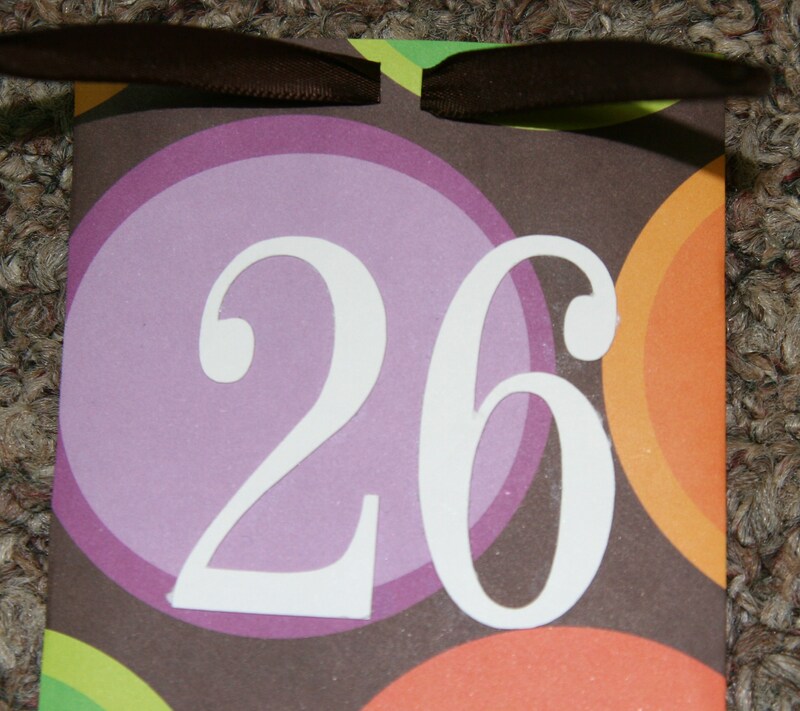 Use a glue stick to adhere the scrapbook paper to the front of the envelope. I used a variety of coordinating papers. 4. Lay out your cards on your board. I was able to do 5 rows of 6 cards each. I wanted to arrange them first so I could make sure no two matching papers were right next to each other. 5. I then used my Silhouette to cut out the numbers 1-30, but you could use stickers, stencils, create a Word Document or go online to find some printable numbers to cut out! I also cut out my “Give Thanks” title. Again…you could use Wordart on Word to create this! 6. Use Mod Podge to glue on the numbers to the cards and then Mod Podge over the entire front of the card to cover your scrapbook paper. It makes the card sturdier and helps it to last for years to come! Be careful not to glue your envelope shut!!!! 8. Use your glue gun to adhere your envelopes to your board. This is where I tried a few different glues…..learn from my mistakes….the glue gun worked the best by far!!! I also recommend that you place the hot glue a little bit away from the edges of the envelope. This allows your cards to go in and out more easily in a later step. 9. 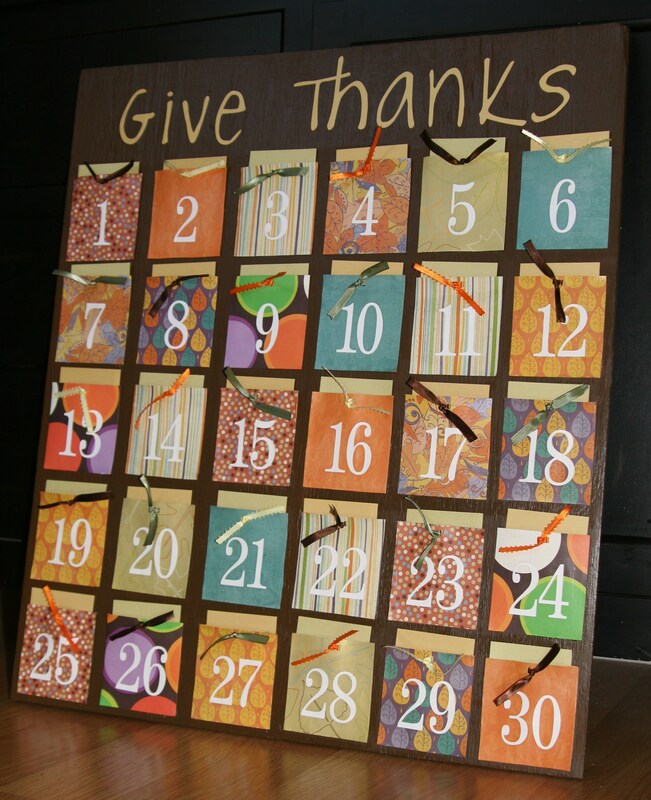 Use Mod Podge to adhere your “Give Thanks” (or the phrase of your choosing) to the top of your board. Then, Mod Podge over the whole phrase. 10. 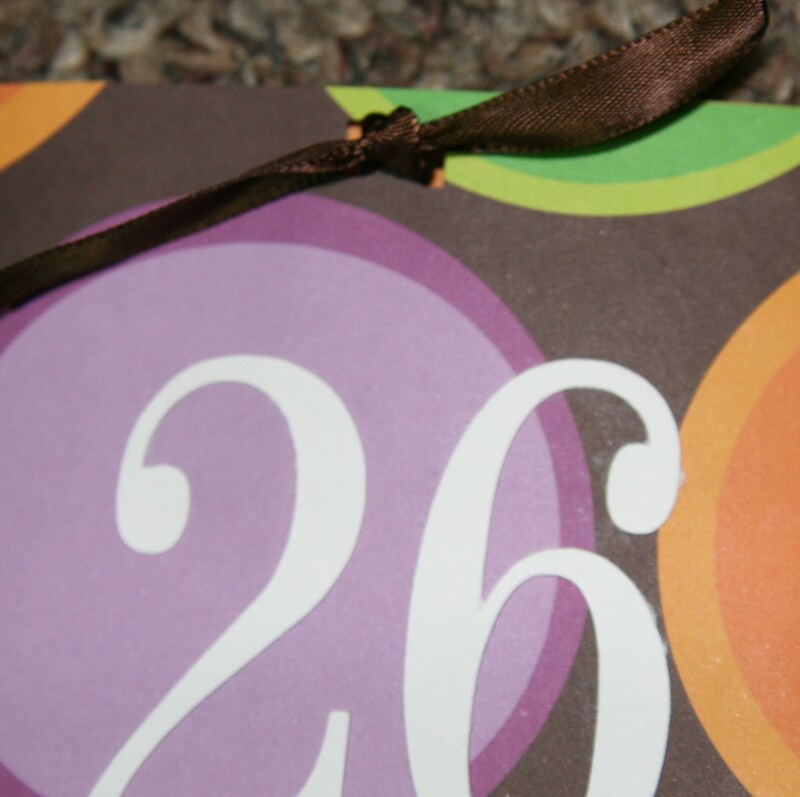 Cut out light-colored cardstock to slide into your envelopes. Mine ended up being two light shades that I cut to 3″ by 4 1/2″. Place them inside your envelopes. 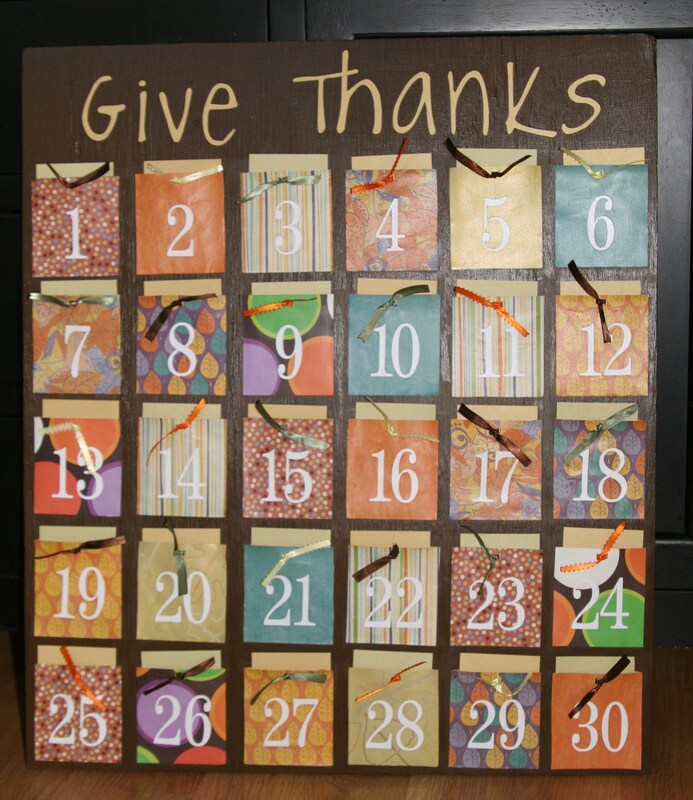 ***Each night in November at dinner time, I am going to pull the cardstock out on the appropriate day and have each person write or say what they are thankful for that day (my younger two can’t write yet!). When next year rolls around, I’m going to use the same cardstock and have them write on the back. 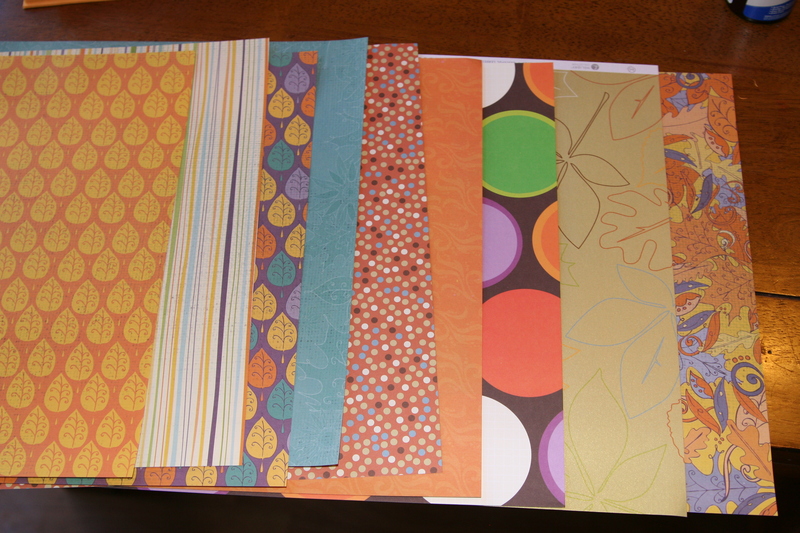 For the following years, I’m just going to add some more cardstock in the envelopes. I think it will be so much fun to see what we wrote the previous years. Especially because I have 3 little ones who come up with some pretty creative stuff to be thankful for. This entry was posted in Jelly Rolls, Tutorials and tagged tutorial, Tutorials. Bookmark the permalink. I love this project! It is so creative, but more than that it is very touching. Yes, indeed we all have so much to be thankful for- which we forget far too often in our day to day drama. 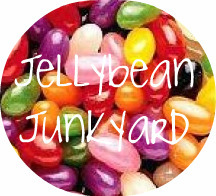 I am thankful for Jellybean Junkyard and for the smile it puts on my face. We all need to be reminded of our blessings! Great Job. Did you use the Silouette machine? This is amazing! What a great reminder each day to be thankful. And I love that you’ll go over the memories each year you use it. So cute! I’m not sure I can enough about how cute this idea is!! I love it!! And it is absolutely adorable. What a beautiful lesson for your kids-so well done and they will have wonderful memories of this as they grow. I’m now a follower-come visit me! I LOVE it! I am definetely going to make one for our home! Wow what an amazing idea..and so creative. We too need a little more ‘Thankfulness’ in our house. I love this idea. I love this idea! I’ll be featuring it on Sunday. What a fun idea! I think its nice to be reminded of all we have to be thankful for. Thanks for sharing. I am new follower and would love to have you visit me and link up on Friday! I don’t know how to include a link but this is also a $3.99 download at jessicasprague.com for those that like the convenience of just downloading and gluing together. Your version is really cute! 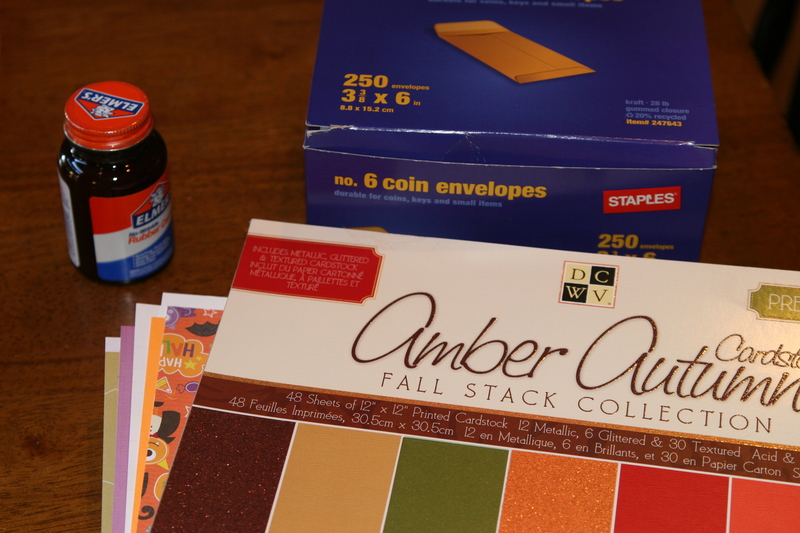 I am going to do this too as soon as I can get to the craft store to get some autumn scrapbook paper! What a wonderful idea, Karly. Your gratitude board is fantastic! If there is anything each of us could show more of, it is a demonstration of gratitude and thanksgiving. When my children were younger, we would make turkeys using pinecones and construction paper for feathers. Each child would write things they were thankful for on the paper feathers. The little turkeys would then be used as placecards on the Thanksgiving table. On that special day, with the whole family gathered, we would read aloud those words of thanks and gratitude. What a fabulous idea, I love all the pretty coloured paper you used. What a great idea. We all need to take time to be grateful. Thank you so much for sharing your idea. This is a beautiful idea. 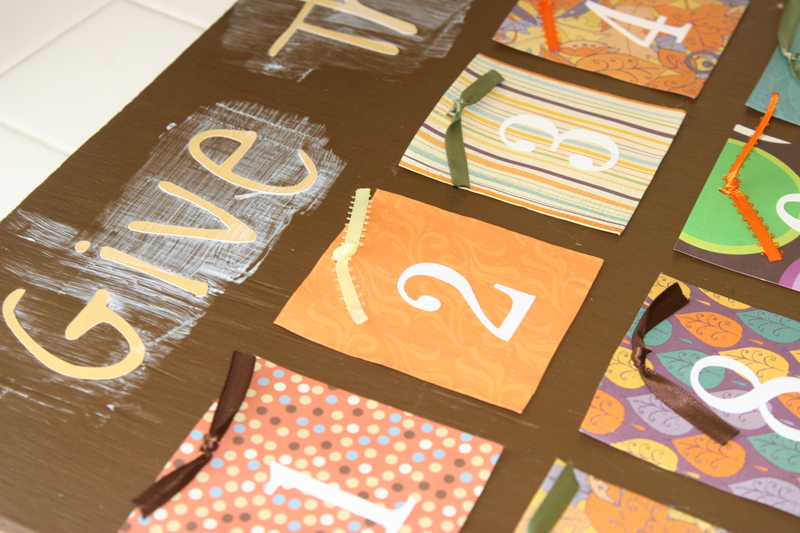 What a fun way to help teach your kids to remember thankful moments! This would make a great gift. What a great idea and a perfect way for our kids and us to remember to be grateful. Thanks for linking to We’re Organized Wednesday. I’ll be featuring this tomorrow. What a great idea! Thanks for inspiring me to see how we can up our gratitude in this season. I especially love how yours will be a tradition and keepsake of sorts for years! So cute! What a great idea for Thanksgiving!!! I really like this! It’s beautiful! I hear you on the craft ADD thing. I have about 10 projects going at any one time. This is a wonderful way to get the kids excited about being thankful. In fact I like it even better than the traditional Christmas countdown calendars. What a wonderful project! Beautiful and meaningful too! I love this project and plan to do it! We have done a thankful tree before and also a thankful scavenger hunt during November, but this year, we’ll be doing this. Thanks for a beautiful and meaningful project. This is amazing! I just love the whole idea of writing down something each day that we’re thankful for. What a great lesson for our kids. I’m definitely making one!!! Thanks for the inspiration! This is a really cute project. I like all of the details–the different papers, the ribbons… Very nice. I love this and can’t wait to try this. This is a fabulous idea. One I’m sure going to try to duplicate for my own family! Thanks for sharing. This is such a great idea and it turned out beautifully! I would love for you to link up to Scraptastic Saturday! I love. love, LOVE this!!! I AM making this. When I do, I’ll be sure to link back to you! Thanks for the inspiration! Okay! So, I found you on Just A Girl and I fell in love with the photo of this project and now I am most definitely head over heels! What a wonderful idea! I totally agree with projects needing to be easy and short. LOL Its hard to find the time when you’re a mama with small ones. Mine are all boys that I love dearly. Our youngest who’s now 15 has now taking quite the liking to CLIMBING! HAHAHAHA anyway, I have to be able to walk away from whatever I’m doing to calmly retrieve the baby from whatever new thing he’s so proudly perched himself upon! 😉 Thanks for sharing. We have a lot to be thankful for too. I can’t wait to make this and see what the boys write down. You’re awesome! Don’t worry! I had it figured out! I have to do this! I love it. OK, I’ll be at the scrapbook store this weekend. Thank you. What a fabulous activity for the family!!! I love how it is based on gratitude and not treats. Thank you so much! I am so excited to make one of these. I think I might collect the cards and put them in a little book at the end of each year. Thank you for sharing such a wonderful idea. Thats so cute! It will be so fun to see each year what you wrote the previous year!! Sooo fun! I love this! What a great idea. I’ll be featuring it on my blog on Saturday. Thanks so much for sharing! Have a wonderful week! I’m visiting from Cottage Instincts. Fabulous idea! I love it. Thanks for sharing! Oh my gosh what a meaningful tradition you have started for your family! I am going to have to try my hand at this sometime. Thank you for sharing! I blogged about my Halloween advent earlier this month and hadn’t decided what to do for Thanksgiving…thanks for the tutorial. Cute and easy! What a great idea! Since I don’t have a fancy cutting machine, I was at a loss on how to do the letters and numbers. Last night I was at Michaels buying supplies for the cute candy corn wreath and what did I find? Scrapbooking stickers! Since I scrapbook online, I am out of the loop when it comes to scrapbook supplies. I need to go back and see the sizes to compare to your sample. My letters are about 2 inches in height, of that helps! I love this, I’m definitely going to make something similar. Thank you for the inspiration! Question for you – where did you find coin envelopes? I love this! Really cute project! I am working on mine right now! Thanks for the detailed instructions and sharing this wonderful idea! LOVE this idea! Takes the idea of a gratitude journal one step farther and gets the whole family involved, plus I love that you can go back & read what people were grateful for in previous years. Well done! This is exactly what I have been looking for! Thank you so much! I will be sure to give you credit when I blog about it…thanks again! This is beautiful! Thanks for sharing it. I’ll be including it in my Friday Favorites tomorrow! Thanks for the wonderful idea! My friends and I decided to take your idea to the next level by doing a “Remember Christ” board on the back of our “Give Thanks” board. We painted the opposite side red and used Christmas scrapbook paper. Each day our families wrote down a gift (act of service) they were going to give the baby Jesus. It helped us remember the true meaning of Christmas. This is one fantastic project! I love the idea of involving your children in expressing their thanks and gratitude. 🙂 This has definitely inspired me! Thank you! Wow! I am using this as a VBS craft this year! Wonderful!!! would be very cool for Christmas as an Advent countdown, and use verses that lead up to the birth of Christ. what a precious family time activity! i just made my michael’s list 🙂 what font did you use for your “give thanks”? thanks! I am so sorry! I honestly can’t remember the font, but it was something from silhouette. I suggest typing out the words and scroll through your fonts to see what YOU like best. Good luck! I love this! I just found this on pinterest and this board design would go so well with a calendar for other months of the year, too! (Like a February board for things we love about family members, etc.) This is so much better than the “thankful trees” that are still cute, since this is reusable and so easily stored! Adult ADD……oh yea, I have it. But I could make this board. Love the idea. I love this idea! That’s fabulous! Come and check out my blog if you get a chance!!! I’m trying to incorporate ways to remember blessings too!!! LOVE LOVE LOVE!!! 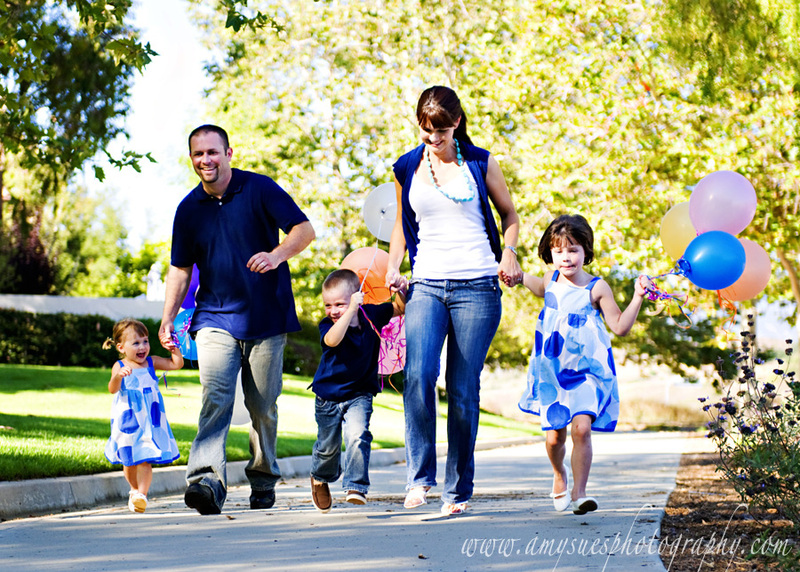 Thanks for the great idea – I think I may have just found a new tradition for our family!! Your family should be thankful that you are so creative. What a wonderful idea and such a beautiful way to present it. They should love filling their envelopes. Thanks for the great idea – I ran right out and bought the supplies to make my own! I posted it today on my blog and linked back to your post. Super cute!!! Thank you so much for sharing!!!!! I love this idea! would even be cute to make a “blessings” one and in each card put a different way to bless someone.. and do it each day for that month! imexcited to try to make t his for thanksgiving! This is absolutely wonderful and I can’t wait to make mine! Thanks for the step by step on how to make it. 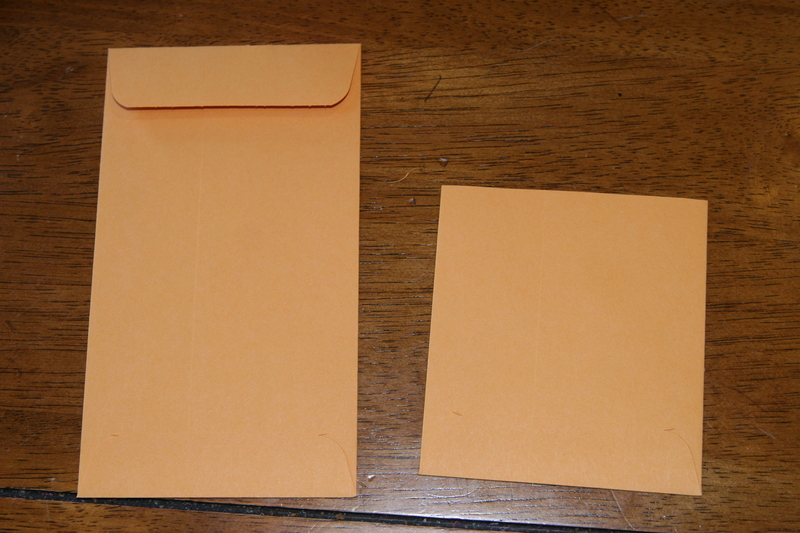 Quick, (probably dumb) question, where do I get the little envelopes? I found mine at Staples! Absolutely love this! We’re using it as our October Girl’s Night craft! Can you tell me the dimensions of the design papers? And the size of the numbers? What size do u cut the card stock into to fit all 30 pieces on the board? Thanks for the great tutorial! Just finished mine today! Looks like the start of a new family tradition. I think this is a beautiful project, but that it steals the punch a bit from advent calendars (one of my favorite holiday traditions). I realize the differences, but still… One idea to avoid this would be to simply create a special envelope out of paper, fabric, felt, etc…and us this idea on Thanksgiving day. Write down what everyone is thankful for and add to it every year. I love that part the most–to be able to look back and see how your children’s perceptions of what’s important grow and change! Lovely! This is certainly the 3rd article, of your site I personally went through. I love this idea! Thank you for sharing! We do need to count our blessings! Love it. I’m not so crafty though….do you sell other gratitude boards online? thanks. This is such a great idea! Definitely going to put this on the to do list for this year. Thanks for sharing! Pingback: 21 Fall Fun Activities For All Ages!